On January 6th we celebrate the Epiphany, known as Three Kings Day and marking the last day of Christmastide. Words are important. They carry just as much history and culture in their construction as they do in their definition. To begin to understand the meaning behind the Epiphany Feast, one must first trace back the origin of the word. In Greek, epipháneia is derived from epí, upon and phaínō, shine or appear and together mean “a manifestation.” One might have an epiphany, a moment of self revelation; just as in a similar way, The Epiphany Feast recalls the first moment at which the world had an epiphany and recognized the Christ Child, a seemingly helpless baby, as God. 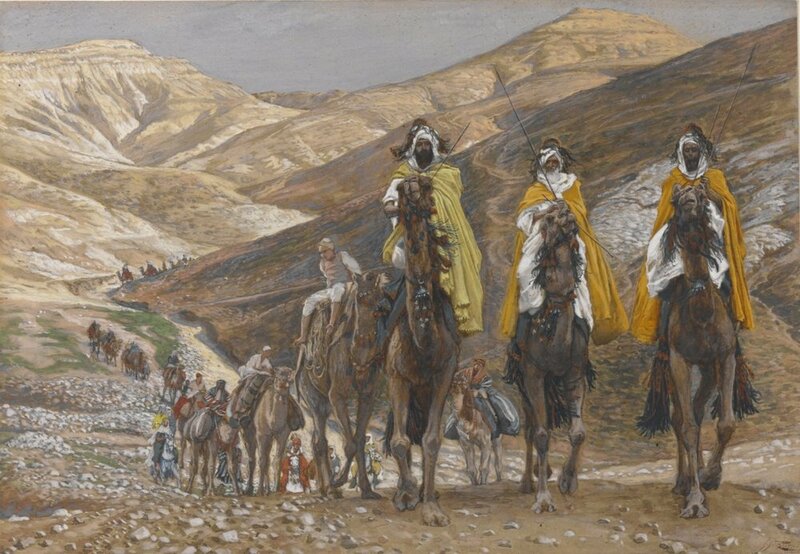 This incredible triumph is symbolically understood and communicated through the story of the the Three Kings who, without prior revelation and purely on the desire to find true greatness, journeyed to the Young King lying in straw and humbly knelt before Him, despite their own material power and majesty. While Herod feared the rise of the “King of the Jews,” the Three Kings, Gentiles that followed the star in the east with pure intentions and belief, understood the Christ Child to be more than a king for one people but surely a Savior for all. The Three Kings represent the Epiphany, they represent the fact that Christ’s teachings and sacrifice are for all people willing to know, love and serve Him. The story is humbling, in the Peter Paul Rubens painting below, the Magi adoring the Child are elaborately dressed in riches from all corners of the earth. Not only did these great men travel an immense distance but they bowed and gifted a Child rejected before birth, born among the animals and whose life would be threatened and taken by the jealousy and hatred of humanity. Think of the innocence of a baby in comparison to the magnificence of these kings and yet, these men understood, by some grace, the divinity of this Child. The second chapter of Mathew’s Gospel recounts the Magi’s visit and the gifts each king brought for the Child: gold, frankincense and myrrh. Gold, a gift fit for a king, frankincense, for that of a priest and myrrh, an ointment for the dead. These gifts are a foreshadowing of Christ’s life, death and resurrection also symbolic of virtue, prayer and suffering. A book written in the 7th century, Excerpta et Collectanea, added in the development of the traditions and story of the Three Kings not only naming the kings but also describing their appearance. "The magi were the ones who gave gifts to the Lord. The first is said to have been Melchior, an old man with white hair and a long beard... who offered gold to the Lord as to a king. The second, Caspar by name, young and beardless and ruddy complexioned... honored Him as God by his gift of incense, an oblation worthy of divinity. The third, black-skinned and heavily bearded, named Balthasar ... by his gift of myrrh testified to the Son of Man who was to die." The Birth of Christ illuminates the darkness of waiting and preparation during Advent but without the Epiphany only half of the mystery of the Incarnation is understood. Christmas Day celebrates the humanity of Christ and his humble birth; the Epiphany honors the revelation that the Child in the manger truly is God. The Three Kings followed the star in the east for miles to find the Christ Child but their journey did not end upon their arrival rather it had just begun. Upon meeting the infant Savior and bestowing their gifts, they had to return to their faraway lands bringing with them the good news of the Child King. Rather than thinking of the Epiphany as the end of the Christmas season, which actually continues until Candlemas in early February, think of this Feast as the fulfillment and beginning of all the goodness brought to us at Christmas.